This is a Jewish story of Africa that I found in the most unlikely of places: the vast plains of Masai Mara and Serengeti reserves. As we drove there, we saw the light-skinned, tall, slender people dressed in red, who were as ubiquitous to the landscape as sky above and earth below. Surrounded by their herd of cattle, they leaned on their long spears or stood on one leg in a stork-like pose. Bearing remarkable similarities to ancient Romans from North Africa, most had classical profiles, wore red togas and sandals, and were equipped with Roman-style short stabbing swords. Women had shaved heads, while the young men’s hair was plated and stuck together with red clay. To us, they looked like young mythical gods. These are the proud Masai (sometimes referred to as Maasai) people of East Africa, whose mysterious past is enveloped in legends of being one of the lost tribes of Israel. This entry was posted in Africa, Jewish Story, Religion and tagged Africa, Kenya, Maasai, Masai, Tanzania. Bookmark the permalink. Some might be the remnants of the north African Hebrew people, being Jewish you must keep the Mitzvahs, The Torah absolutely forbidden the drinking of Blood . Otherwise, if it was due to contacts of the Nilotic people that led them to drinking blood, or is part of being lost? Am not so sure, am Jewish and grew up within the Maasai community, when very young my father and mother warned us strictly, of coming close to meat eaten by Maasai as un kashrut, we had a special, slaughter man, who make sure that the blood is drained, and the meat further socked in a warm salted water for 20mins, and dry it for 20, mins, then apply salt, on big table again for 20 mins to make sure that, no a drop of blood remained. If you try to look at their day to day life activities, a lot of what they do is so similar to what is the bible yet the bible came to Maasai land a few year back. The story of Isaac, Jacob & Esau is the same as the Maasai Mbatiany’s sons, olonana and Senteu. 1 chronicles 9:12 is talking of the genealogy of the children of Israel. Masaai son of Adiel in the lineage of Levi is shown here. Also to my thinking some few Masaai words are borrowed from the bible. For instance “oi pasinai”( still remembering Mt. Sinai), “eyewau mana”( something you cannot tell where it is coming from just like the bible mana), the story of Olarinkoi ( David vs Goliath) just to mention a few. The history of the masai is little known and understood, meaning there is need to more studies , that need consolidation to some strong conclusions. I believe the masai have lot of relationships in the bible and need to investigate more. They day to day activities, belifes, taboos have similarities to the bible. Here are similarities between the maasai and the jews. Maasai do not eat meat on the day they have eaten milk or dairy products. Maasai have legends similar to the stories of Samson and Delilah, Isaac and Jacob, David and Goliah. Maasai worship one diety or God called Enkai. They worshiped him directly and also though sacrifices. Maasai have male circumsion as part of their culture. Their physical body structure resemble those of the jews. Their worriors were known for their bravery! Maasi the son of Adiel. If the Maasai are originated from Israel, and we believe ”yes they are lost tribe from Israel” how then they became in different clans? For instance Erparakuyo, Kisongo, Loitai,Ilaitayok,Irwasi-ngishu Irkeek oonyokio, Eldamat le kutuk, Loodo kilani, illarusa etc. Yes, maasai are one of lost Trible of israel…..don’t need high Education to know that….but passing by Bible! And you will get a much as you Reasons why we claim hat we are a Israel…and we promised are land of Israel by our living GOD! According to Bible, Maasai are part of the Israel tribe. Thank you for the good piece of work. First a point of correction, it is EnkAi and sometimes Enkai and not engai, when receiving blessinga the Maasai say Ai, since Enkai is feminine. The Maasai history can be traced back from Ethiopia which a Maasai name meaning Chocolate pronounced Esopia and to Sudan which is called Sidan meaning Ostriches, and much more.. You need to do more to prove your finding. Most Maasai men go to the meat camps every August, and in one of these camps I obseved that the hip borne is always thrown away. I asked one of the elders and hecsimply said ‘ because we are prohibited from eating it’. The I remembered Jacobs’ story when he restled with God. True it is Gods People. They are mentioned in the Bible. The chosen people.the people with peculiar culture which admired by the whole world. First Chronicles Chapter 9 verse 12 is no doubt a clear manifestation that the Maasai originated from Israel and is fool proof that we are the descendants of the Israelites. A closer scrutiny of the Old Testament particularly the book of Leviticus and Deuteronomy shows similarities of dos and don’ts in cultural practices. The centuries of migration gave way to intermittent integration resulting in the corruption of traditional practices that is concurrently obtain. I suggest more deep research is needed on a wide scale. Can we(contributors) seek ways and means of getting together for this purpose? There are so many tribes in Africa that us in the Bible. The best p,ace to look s OLD MAPS BEFORE COLONIZATION. However, study the word with its genealogy, language evolution, the lots given in the time of Joshua all the way going forward. I saw in 1 Kings 4 about “Dakar” being in the hill country of Judah in the West. Dakar is in Senegal in the West! Mahli, Maasai, Sons of Gad in Nigeria, etc. I can go on. And Mt. Kenya being formerly named “Sio/Sion/Tsion” in at least 7 maps along with the river by it that the king of Adiel can overlook. Let’s not even touch those old maps that are shocking. Also, the map makers knew because of their detailed noted. It was jaw dropping for me to see countless biblical names. Biblical names was even on old American maps. Research people. there has never been any tribe of Israel lost. who invented this myth of lost tribes of Israel? Quote any verse from the Bible that did prophesy Israelites will get lost. There is NOT even one prophet who has said that. The origin of that story then is the Dxxxl [edited by GTA] who seeks to mislead people. Secondly, the Maasai are well admired all over for their standing firm and proud of their culture unlike other tribes which have lost themselves while trying to be Europeans. But the fact is Maasai have nothing Israelite in them, whether in beliefs, designs and motifs. Most the Maasai traditions are very opposite of Israel. For example, sharing of wives, drinking of raw blood, cattle raiding traditions. The Maasai Oloibons and their practising of spiritism are anti Judaism. where then is the Israelism of the Maasai? My research has concluded that We maasai were a confedaration of tribes that made up the encient Edomite kingdom.Descented from Esau twin brother of Jacob.Their flag was red and their governance was council of elders.Most importantly i found out our blackness was as a result of Esau marrying Hamitic wives among others from cannanites.Pastoralist lifestyle and geolocation of the Edomite kingdom explains our migration through the rift Valley after conquest of arabia by Persian empire.Lastly the term “Naishi o kule” “honey and milk” as a send off greetings reminds us where maasai were destined to Canaan but lost their way to the promised land. Further research on Esau will shade light on Maasai,Oromo,somali and Kalenjin origin. Your thoughts are highly welcomed. The Maasai are said to come from central Sudan. The Chagga people are said to have come from uppersl Sudan. Meanwhile the Sudanese says that the Chagga people descended from beyond upper Sudan. That means the Maasai and the Chagga tribe people living in Mount Kilmanjaro slopes migrated alongside with the Maasai people. That’s why the Maasai and the Chagga people have always been in continuous wars/fight which by an example is the Demise of Mangi Horombo, the chief/King of the Chagga clan. The Chagga people keep blowing Shofar until today. Chagga people still holds the Culture and traditions of the Israelites. The Chagga people refers to their supreme creator as Ruwah / Mndumi / Yaaweh. Chagga people are being solely divided into Clans but sharing same Language with slight change of words and pronunciation that makes their speech different from each other. They are in all clans sharing same cultures and traditions with slight copied differences by way of a a reasonable separation during migration and yet moving in the same direction and alongside the Maasai tribe people. To my opinion, I ask the researchers and our historians to conduct a good research on the CHAGGA TRIBE alongside with the MAASAI TRIBE to trace their real origin. I am without any shadow for doubt convinced that the Chagga people are one of the Lost Tribes of Israel. And I am convinced indeed that the Israelites are from the black race people and not from the white race people. The Chagga tribal names like Eliakunda, Elisaria, Terewaeli, Kanaeli, Anandumi, Elichilia, Haikaeli …. etc..shows that the Chagga people still bear the Israelites origin. The World map was turned upside down, so North is at the Bottom. Let us work hard to find ourselves. What we need is some to find a direction, and the direction that we seek is the direction towards our own selves! ! The Research About My Community Is Cool Bt I Think Not Yet Done. The Contradictions On Whether Semitic Or Nilotic Still Need To Be Clarified Keenly, But Thanks For The Information. We maasai worship our GOD call ENKAI. Like Israelis tribe we are PASTROLIST..
We believe in OFFERING ENKAI animal Sacrifice..
As Israelis we are not shaken during WAR as ENKAI Go ahead of us to prepare us to defeat the enemies. Like Israelis Soldiers…. Maasai people are never defeated in War. Like Israelis.. we are BLESS with Fertile land…. Like Israelis people we Maasai are very Peculiar in the whole World. 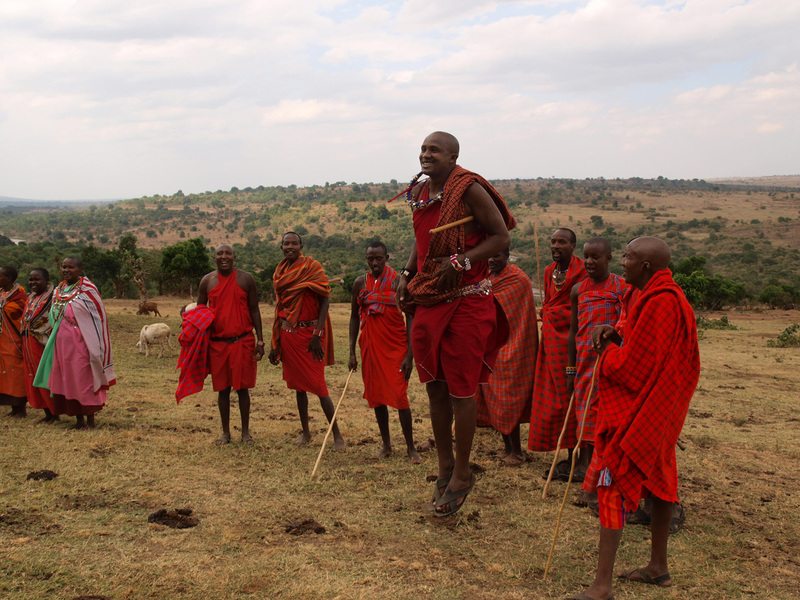 We Maasai people believe in WISDOM given to us by ENKAI….we don’t believe in EDUCATION. Like Israelis believe in their ancestors Abraham, Isak and Yakub…we also believe in Lenana, Mbatian and Supeet. Like Israelis Maasai believe in Prophets (ISINKAN LE NKAI), ENKAI direct them in the POWER OF PROPHECY. Maasai ladies are very beautiful like Israelis ladies & our Men are tall and Handsome like Netanyahu’s brothers. Greetings I took a DNA test result of maasai ethnicity.I’m located in North America, Ohio , all this information is great. Maasai people use not to touch a dead body in which i link them to the cohen line who were not allowed to touch a dead body. Maasai are truely of middle east orign and they like giving names to every place they pass you can see Misiri,Sudan ,Ethiopia,khatumu all are related to maasai Godly tribe. Even in the bibble that are mentioned as descendants of 12tribes. Masai sword is typical to the one mentioned in the book of judges. Truly massai’s apears the lost triebe of israel coz all ceremonies are remembrens of biblical stories. Y-DNA E1B1B Maasai. Enkai was actually Enki. The Sumerian God. Enki (/ˈɛŋki/; Sumerian:EN.KI(G)𒂗𒆠) is the Sumerian god of water, knowledge (gestú), mischief, crafts (gašam), and creation (nudimmud). He was later known as Ea in Akkadian and Babylonian mythology. I think we as “Maa” need more clarification that deeper more explanation for the real source of Maasai and Biblical proofs whenever Its very important to describe this myths in a detailed form and based more on proofs. we need to research and build on the existing literature about the maasai people. Shockingly enlightening and confirming my belief that Israel is the whole world! Maasai the Son of Adiel was an Israelite as recorded in the Book of Chronicles! I never read or heard from a bible or bible scholars about the lost tribe of Israel, honestly this is the first time to read it from this researcher that the masai is the lost tribe of israel. israel is the new name was given to jacob when he was moving from his uncles house to his own land, when he wrestled with the angel won then the angel said to him his name was no longer jacob but israel, from israel we are told twelve sons were born which are the tribes of israel, there is no records that one of this tribe was lost, that is masai in east africa accoding to researcher. i advice you Mr reseacher or researchers to reseach more on your topic. let remind you about the Noah and his sons, Shem, Ham and Japhet. Beautiful article by the way but I think what really matters is if your name is in the book of life. I bet that there are some similar issues in Biblical old Testament vasion and in Maasai Cultural practices e.g Sacrificing a pure animal without blemish, eating of Meat with bitter herbs, Mount Sinai as Ldonyuo Le Pasinai, Jerusalem as Arus alarm, Nazareth as Neesirat among many. Truelly maa we the Lost tribe of Isrea. I think the maasai are nilo-hamites, they are direct descendants of “ham” from manaseh (muhseen) son of joseph isaac lineage in the bible. Manseh is grandson of pharoah (farwun) and grandson of jacob. The kind of circumcision practice by the maasai is 100% pharoah circumcision. Ham and Shem were black only that Ham was much darker, the populations of Africa make up of all the children of Ham and Shem. Abraham had children with keturah, and they came to live close to Ham.